In an effort to “give back” to the local community, the Grenada Bar Association (GBA) recently organized its eleventh annual Law Week. This year’s activities began on Sunday 13 October with a Church Service at the Roman Catholic Cathedral and ended on Friday 18 with a social get-together amongst lawyers and friends at the Grenada Yacht Club. Altogether this year’s Law Week Programme was highly successful. This year’s theme for Law Week was: “The Grenada Bar Association: Supporting Our Youths”. In keeping with the tenets of this year’s theme, the activities focused on giving support to Grenada’s youthful population. One of the activities involved the giving of a very commendable monetary donation to the Student Assistance Programme of GRENCODA on Monday 14 October at a Press Briefing. It is expected that GRENCODA would utilise this donation effectively towards its on-going efforts in assisting youths in their educational and social development. 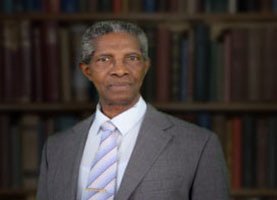 On the same occasion a special award was given to Mr. Ewart Layne for having been selected by the Sir Hugh Wooding Law School in Trinidad for being the most outstanding Grenadian law student in 2013. Other activities involved the chaperoning of students to various magistrates’ courts by respective attorneys in order for those students to have first-hand experience as to how the courts function. On other occasions, attorneys gave oral presentations to students on legal topics in numerous schools across the state, including Carriacou. All these were done during the days covering Law Week. On Wednesday 16 October, several attorneys visited Her Majesty’s Prisons at Richmond Hill in St. George’s, where there were group consultations as well as individualized consultations with many inmates. Some of the inmates were given legal advice on various topics and they themselves gave advice as to what could be done to minimize the incarceration of individuals, especially the youths. There is a major concern amongst many inmates that individuals, especially youths, are being sent to prison too readily, and they pinpointed a particular magistrate who has this tendency of readily imprisoning individuals for minor offences. Additionally, they emphasised the urgent need for counselling sessions for persons who are at risk of being incarcerated and for those who are actually incarcerated. Although the prisons at Richmond Hill were originally built to house 150 inmates, as at 16 October 2013, the prison population is highly overcrowded with 452 inmates comprising 446 males and 6 females. Among these, 363 have already been convicted for various crimes including murder, robbery, grievous harm, drug and sexual offences. The others have been remanded. The youthful population comprises 120 inmates who are thirty years old and under making up 26.5% of the total prison population. Another important highlight of Law Week’s activities was a moot (or mock trial) which was held at the St. George’s No.1 Magistrates’ Court on Thursday 17 October. On that occasion six students from the T. A. Marryshow Community College performed the roles of attorneys at law. The “case” was an appeal made by an “appellant” to the “Court of Appeal”. The “appellant” preyed to have his murder conviction quashed. Three of the students were the “attorneys” for the “appellant” and the other three were the “attorneys” for the State. Two other students played the parts of the Court Registrar and Court Bailiff respectively. Dame Justice Monica Joseph, a retired High Court Judge, was the “Judge” in the “Court of Appeal”. The students gave very excellent accounts of themselves, having been trained by actual attorneys at law, Mr. Howard Pinnock from the Chambers of the Director of Public Prosecutions, Mr. Derick Sylvester, and Mr. Francis Paul, both criminal attorneys at law in their own right. In the final analysis, Dame Justice Monica Joseph quashed the “conviction” amidst the excitement of a packed court room. At the end of the legal exercise, the six would-be attorneys were issued with Certificates of Achievement by the Association. Altogether, all those attorneys who contributed towards this tremendously successful Law Week of the GBA must be highly commended for their splendid efforts. The GBA has indeed delivered invaluable service to the community, especially to our youths. The directorate of the Association comprises, Mr. James Bristol, (President); Dr. Lawrence Joseph, (Vice-President); Ms Ayanna Nelson,(Secretary); Ms Shireen Wilkinson, (Treasurer); Ms Deborah St. Bernard, Ms Lisa Taylor, Ms Claudette Joseph and Ms Daisy Joseph, (Floor Members). Well done GBA! !